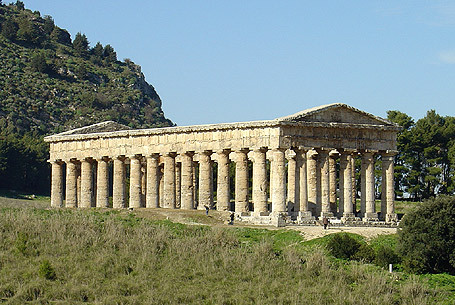 The City is situated on the margins of the Conca d’Oro, on the Tirreno Sea, in the ample Golf of Palermo. It is dominated by Mount Pellegrino (on which the Sanctuary of Santa Rosalia is situated, an annual Meta of a huge, popular pilgrimage on 3-4 September). Native land of Empedocle, Filino and of Luigi Pirandello, rising up a short distance from the Mediterranean, on a plain 326m in height, surrounded by two rivers. The main habitation is constructed inside the acropolis of the old city, with the Byzantium style Cathedral, the beautiful Church of Santo Spirito, the rich archaeological museum. Catania is City and port of eastern Sicily, facing the Ionian Sea. It’s situated on the Meridianal stratum of Etna, at the mouth of the Catanian plains on the homonymous golf. Native land of Vincenzo Bellini e Giovanni Verga. The City developed around an amphitheatre at the foot of the Monti Peloritani, in the interior and south of a roadstead well protected by an alluvial peninsula (the San Ranieri peninsula).